Mill Glaze is a phenomenon that produces a shiny surface to new timber through the milling process. The cutters of the planer close the wood pores whilst the natural oils come to the surface of the timber through the machining heat. As the wood cools these oils produce a glaze on the surface which will prevent the penetration of oil or water-based penetrative coatings, or the adhesion of film forming coatings. Should I treat my new timber? The guidance from many coatings manufacturers is that newly exposed timber should be left for several months prior to treating it. 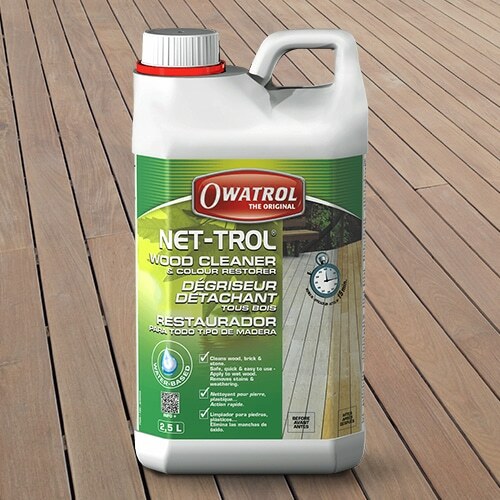 Owatrol strongly advise against this as this is when the wood is at its most vulnerable to damage due to the moisture transformation. 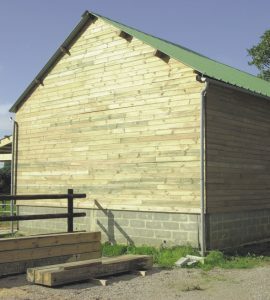 The inherent moisture expels rapidly and the timber will draw in and release moisture content which will cause warping, cracking or splitting. 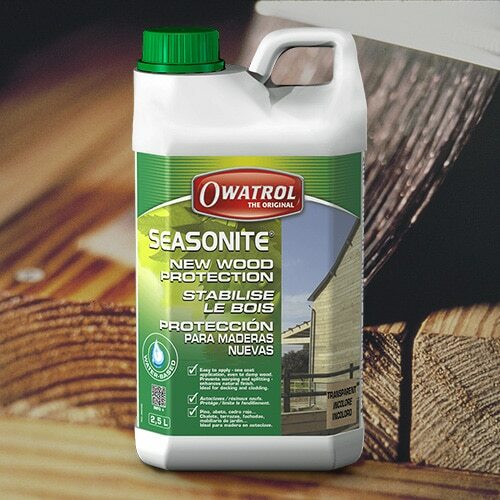 If you are not intending on removing the mill glaze and then finishing your softwood surfaces we would highly recommend using Seasonite new wood protection. It is applied in one generous coat including working it into the end grains and helps to protect your new wood whilst it is most vulnerable. The wood can then be cleaned and finished 6-12 months later after which time there should be no mill glaze to remove. If you have hardwood surfaces please contact us before using Seasonite and never use Seasonite on oak. 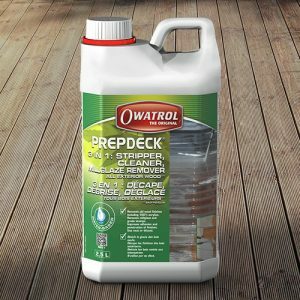 The Owatrol products required for this process are Prepdeck high grade wood stripper and Net-Trol wood cleaner and neutralizer. 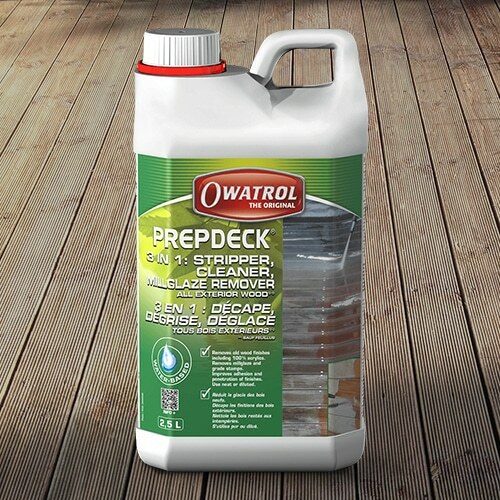 To reduce mill glaze, add 1 part Prepdeck to 4 parts water. 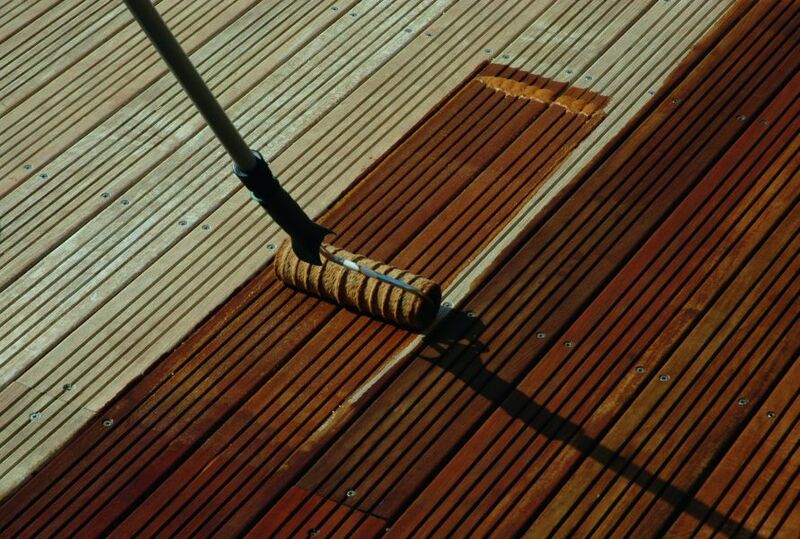 Apply Prepdeck/water solution to the area to be treated with synthetic brush or roller. Allow it to work for 20 minutes. Scrub the area with a stiff nylon brush, deck brush or use a Power Washer at 1000-1500 psi (70-103 bars). Always work in direction of grain. Rinse with copious amounts of fresh water, using the highest pressure from the water source available or use a Power washer at 500-1000 psi (35-70 bars) working in the direction of grain (Rinse adjacent areas at the same time). To neutralize the surface, add 1 part Net-Trol to 4 parts water. Apply the Net-Trol/water solution to the area to be treated with a synthetic brush or roller. Always work in the direction of the grain. Rinse with copious amounts of fresh water, using the highest pressure from the water source available or use a Power washer at 500-1000 psi (35-70 bars) working in the direction of the grain. Leave the wood to dry for a minimum of 48 hours or until it is fully dry before applying new finish. Once the mill glaze has been removed you can use your choice of wood finish to protect your wood from damage and keep it looking at its best for years to come.